Is Outlook better than Gmail? Outlook.com is part of a suite of applications offered by Microsoft. Outlook.com is a webmail service that you use in a web browser to send and receive email. It's definitely worth test driving Outlook, but how does it compare to similar services? 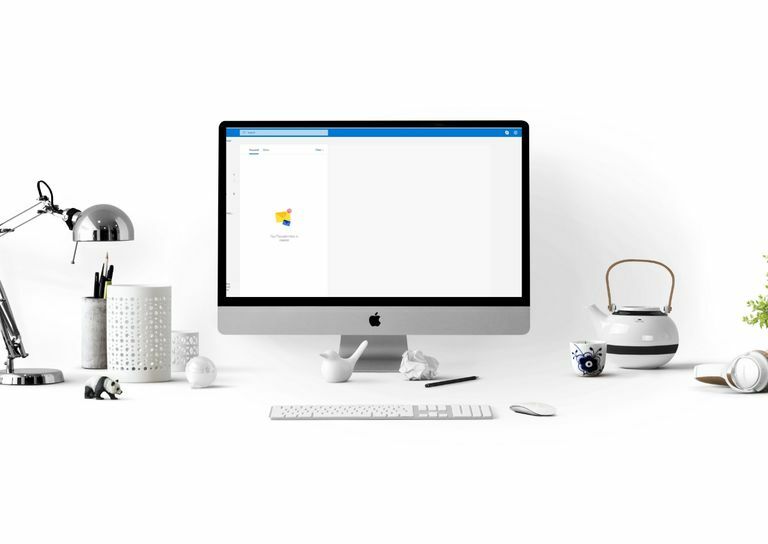 There are lots of email providers available that you can start using today, so how do you know whether you should stick with Outlook or go with something else like Gmail? Outlook.com is more than just an email client. Outlook sends and receives email from Hotmail, Live, or Outlook email addresses, but there are other products available at Outlook.com, too. See the bottom of this page to learn more. Most email providers offer more than a basic email client that has send and receive functions for emails, and that's definitely true for Outlook. Outlook is not only highly functional as an email client, it includes other tools that make for an awesome email experience. The email experience in Outlook is just as you'd expect. You can write rich text emails with bold, italic, and underlined text. Pick a font color, insert tables, add hyperlinks, indent, make lists, and more. It's easy to use all of these features since they're listed on a single line in the compose menu. Reading emails is also easy to do with Outlook. Since tabs are supported, you can open emails in separate tabs within one Outlook page — you don't have to open each of them in a separate browser tab. This makes it easy to keep track of which emails you need to look at again without having to mark them as being unread. If you receive lots of attachments in your email, you'll love Outlook's integrated photo viewer. Photos display in a large, slideshow format where you can view, download, and save photos to your OneDrive account. The Immersive Reader feature in Outlook helps you focus on an email and nothing else. Right-click (or tap-and-hold) a message and choose Show In Immersive Reader. The email fills the whole page and blocks out everything else in Outlook to make it easier to read. There's also an option to read the text to you, describe each word, and more. Outlook.com connects cloud storage services to your account so that when you send an email with file attachments, you can pick files from not only your computer and OneDrive account but also from your Google Drive, Box, and Dropbox account. Outlook also supports encryption. When you send an email from Outlook.com, you can encrypt it, and even encrypt it and prevent the recipient from forwarding the message. When you encrypt emails in Outlook.com, the recipient provides a code to read the message, which they get in their email account. This ensures that the intended recipient is the only one who sees the message. There's obviously a lot to like about Outlook, but the same is true for Gmail. Both are wildly popular email services and have their own set of pros and cons. The Outlook compose window that you use to write emails, is small. You can drag the border of the window only so high, and it won't fill the whole page. This can make it hard to write emails if you embed pictures or want a distraction-free interface. On the other hand, the Gmail compose window can be as large as you want it to be. It starts off small when you select the Compose button, but from there, you can use the Full-screen button to make it larger. Hold down the Shift key when you click it and make that window its own separate window. This separate window can be as large as you want and with zero distractions. Gmail lets you append a + sign to the end of your email address to essentially create an unlimited number of alternative addresses for your account. There are definitely real uses for this, for example, to avoid spam or make multiple accounts on the same website, but it's not as good as Outlook's. For your Outlook account, you can create multiple email aliases that use your same email account as the delivery location. For example, while abc@outlook.com might be your primary address, you can build def@outlook.com as an alias and use it whenever you want as a regular email address. Messages will be delivered to your abc@outlook.com account. "Sweeping" and blocking unwanted emails is really slick in Outlook. While it takes several clicks to ban a particular kind of message from your Gmail inbox, it takes just a few clicks to "sweep" them from your Outlook.com email. You can ban emails from both individual senders and entire domain names, which is helpful if you like to experimentally join different subscriptions on the web. When there's limited space in your email, it's important to see which emails take up space. Both Gmail and Outlook do this, but Outlook makes it much easier. When you sort emails by size in Gmail, it's not really a sorting mechanism that you use but a search operator. For example, you'd search for "larger:10m" to find all the emails that are larger than 10 MB. In Outlook, use the Filter button to sort the emails by size and auto-categorize messages into sections. For example, when you filter emails by size, you might see a section for all the messages that are 25–100 KB, between 10–25 KB, and so on. This is visually more appealing and easier to grasp than it is in Gmail. Google offers a large 15 GB of space for Gmail and other Google services, and that's the same amount of space Microsoft's Outlook.com limits emails and file attachments. However, if you have an Office 365 or Office 365 Personal account, you get 50 GB of storage. Of course, you can pay for more space from your Google account, too. Outlook keeps advertising to a minimum. Instead of the distracting, contrasting text links found in Gmail, Outlook uses same-colored tiles. The visual experience is very subtle but Outlook's ads do not draw your attention as Gmail's do. Outlook.com ads are served by Microsoft advertising, which you also have some control over. Tell Outlook that you don't want to see tailored advertising or tell it which topics and brands you're willing to see. It's an unobtrusive system and has the cleanest webmail advertising. Outlook.com supports keyboard shortcuts, even Gmail shortcuts. This is splendid for people who are power email users! You can use Outlook keyboard shortcuts or Yahoo! Mail keyboard shortcuts, too. If you like to jump around the screen with hotkeys, you'll love this. This is perhaps the biggest difference between Outlook.com and Gmail. Unlike the counter-intuitive labeling system that Gmail uses, Outlook.com uses both labels and separate folders. Since real categories are used instead of labels, it's possible to tag your email messages with multiple categories, and then save those emails in different folders. This is ideal for searching and retrieving messages later. Microsoft nailed it with this dual-feature offering, and for many users, this alone is enough for them to switch from Gmail to Outlook.com. Gmail is Gmail — period. If you go to Gmail.com to log in with your Gmail account, it's not confusing in the slightest. That can't be said for Outlook, at least not all the time. For example, if you have a Hotmail account and you go to Hotmail.com, the website redirects to Outlook. It might seem like you can't log in since you're using a Hotmail account on the Outlook website. The same is true for Windows Live email addresses. To make it even more confusing, the Outlook website is not at Outlook.com but Live.com! In fact, some people call Outlook the Outlook Web App, Outlook on the web, Outlook Online, Outlook Mail, and even the same name as the whole suite, Outlook.com. Although there are lots of names thrown around in relation to Outlook and the email client, every Microsoft email account is accessed through Outlook.com. When you go to Outlook.com, you're redirected to Outlook for your mail, but the URL changes to the Microsoft Live.com website. This is where Microsoft's whole suite of online products is found. As long as you have a Microsoft account, you can access a bunch of Microsoft products. Outlook: The Outlook product is the email portion described above. It's officially called "Outlook on the web." Calendar: Microsoft's calendar application is very similar to Gmail's in both design and function. People: This is where Outlook.com stores your contacts. You can use the contacts in People directly from Outlook. Office Online apps: Other products that are accessible from Outlook.com include Photos, OneDrive, Tasks, Word, Excel, PowerPoint, and OneNote. Skype is also closely integrated into Outlook.com — you can get notifications from Skype even while you're in Outlook.